FOOTBALL: Ange Postecoglou has revealed one of his briefs as Socceroos coach has been to ensure the country's rising stars aren't lost to rival nations. In the squad preparing for tomorrow night's World Cup qualifier against Thailand in Bangkok are Milos Degenek (Serbia), Apo Giannou (Greece), Brad Smith (England), Jamie Maclaren (Scotland) and Jackson Irvine (Scotland), who all played junior representative football for other countries. "It's not about convincing them. I think all of them wanted to (play for the Socceroos) but sometimes, particularly for guys who leave Australia at a young age and go halfway around the world, (if) we don't show them a little bit of care and attention - they could get lost,” Postecoglou said. "I'd hate to think, particularly while I'm in charge, we lost a player to another nation who really deep down wanted to play for us. "For a country like us that doesn't have a lot of depth, the one thing we should do is that whoever has Australian roots, we should at least reach out to them and tell them they are welcome to be part of our national team set-up ... to be aware of them (and) to let them know they're in our thoughts. 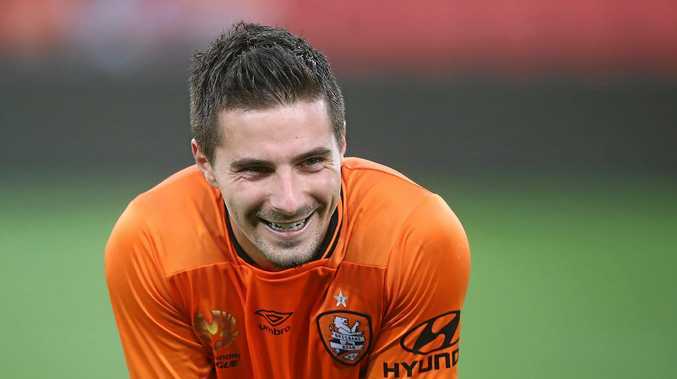 Postecoglou said yesterday Brisbane Roar striker Maclaren, whose father David is Scottish, was ready to fill the shoes left vacant by veteran Tim Cahill in the heat of Rajamangala Stadium in Bangkok. "He wouldn't be here if I didn't think he was ready,” Postecoglou said. "Sometimes with these things you've got to take your opportunity when it's presented. There's no ideal time. "If you wait for players to gain experience or feel better about themselves that opportunity may never come. Another win tomorrow night would ensure the Socceroos will head into 2017 sitting in one of the two automatic qualifying berths in Group B.
Australia (8 points) are two points adrift of leaders Saudi Arabia, who play Japan (7) tonight, while United Arab Emirates (6) hosts Iraq (3).